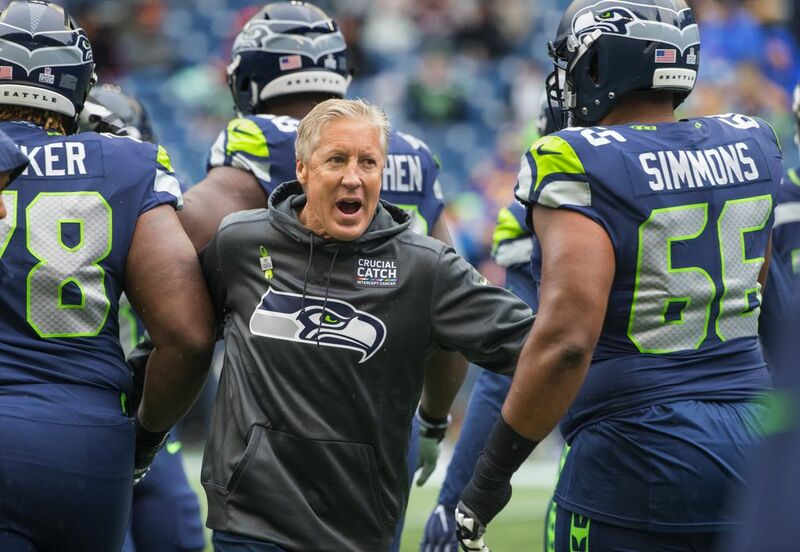 Did Pete Carroll's decision to take that final timeout doom the Seahawks? 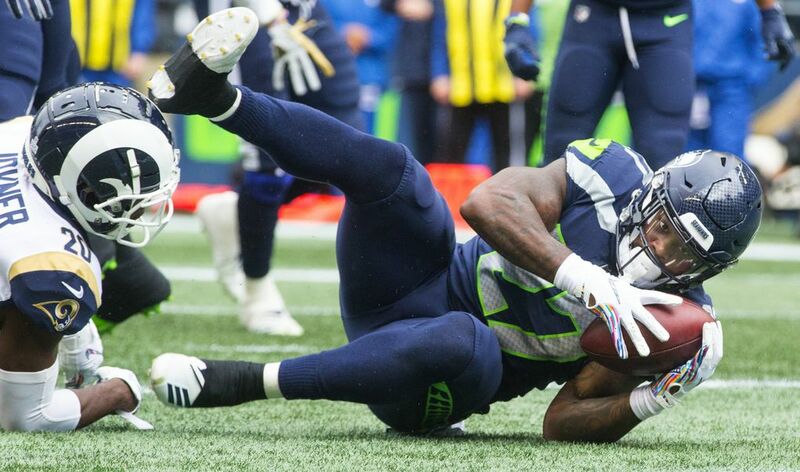 The pivotal moment, Carroll says, wasn't that one, but occurred earlier, with a questionable penalty against D.J. 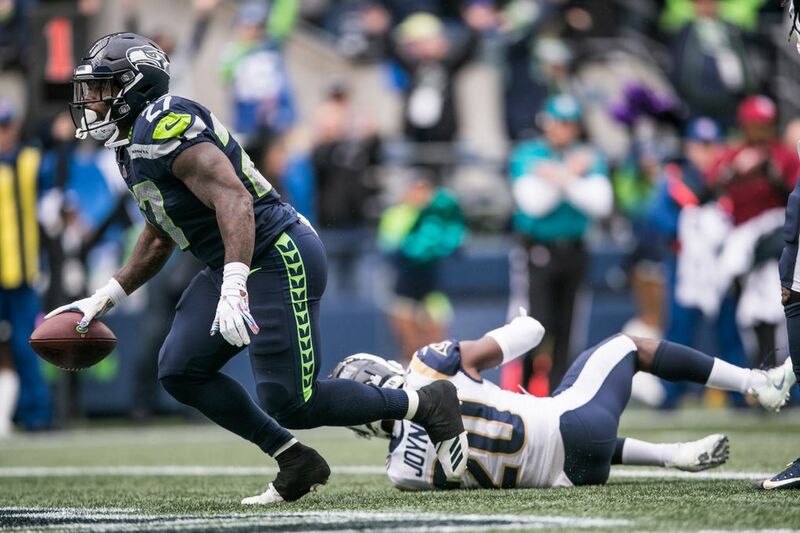 Fluker that turned a promising drive into a punt on fourth-and-23. 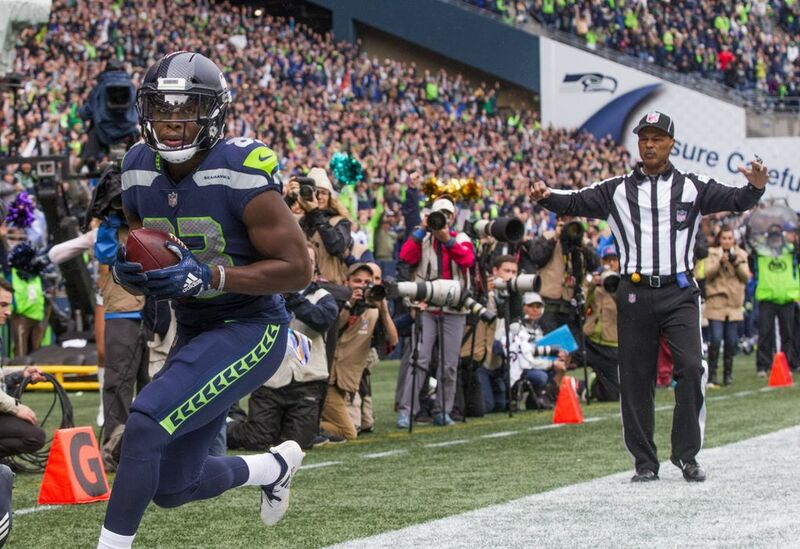 If Pete Carroll could turn back the clock after Seattle’s 33-31 loss to the Rams on Sunday, it would not be to rescind a timeout he called with 1:39 remaining. Afterward, there was no shortage of debate about that timeout, which Carroll found somewhat surprising. 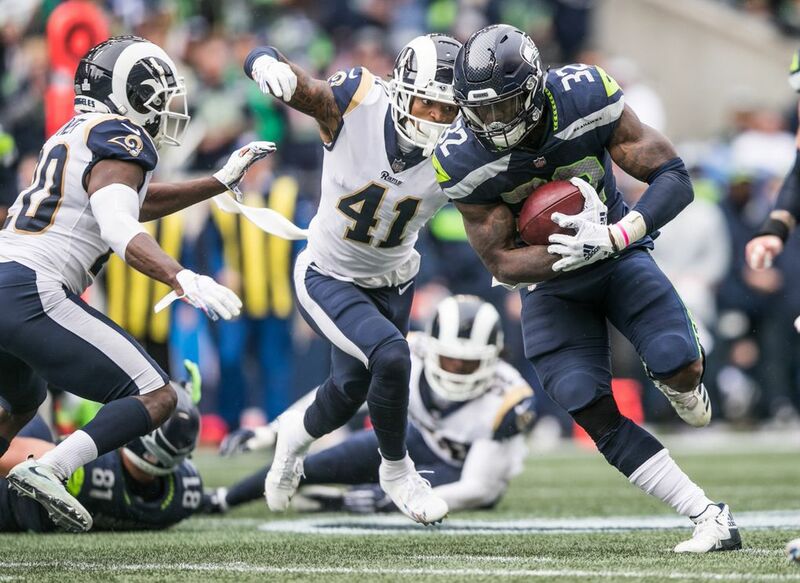 “I’m not quite sure why you’re asking that,’’ the Seahawks coach said of the timeout he called as the Rams faced a fourth-and-one late in the game. 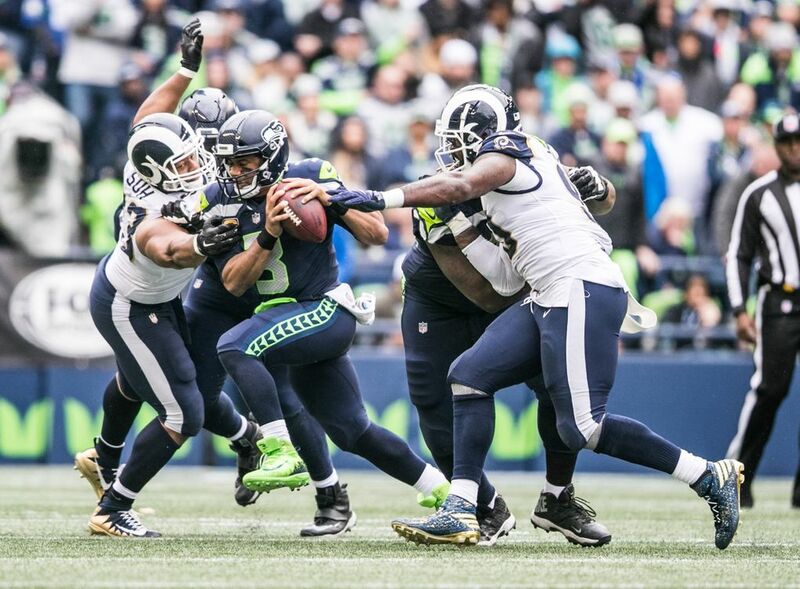 During the stoppage, the Rams changed course and instead of punting from their own 42, they decided to go for it on fourth down, with quarterback Jared Goff picking up the first down easily to clinch the victory. 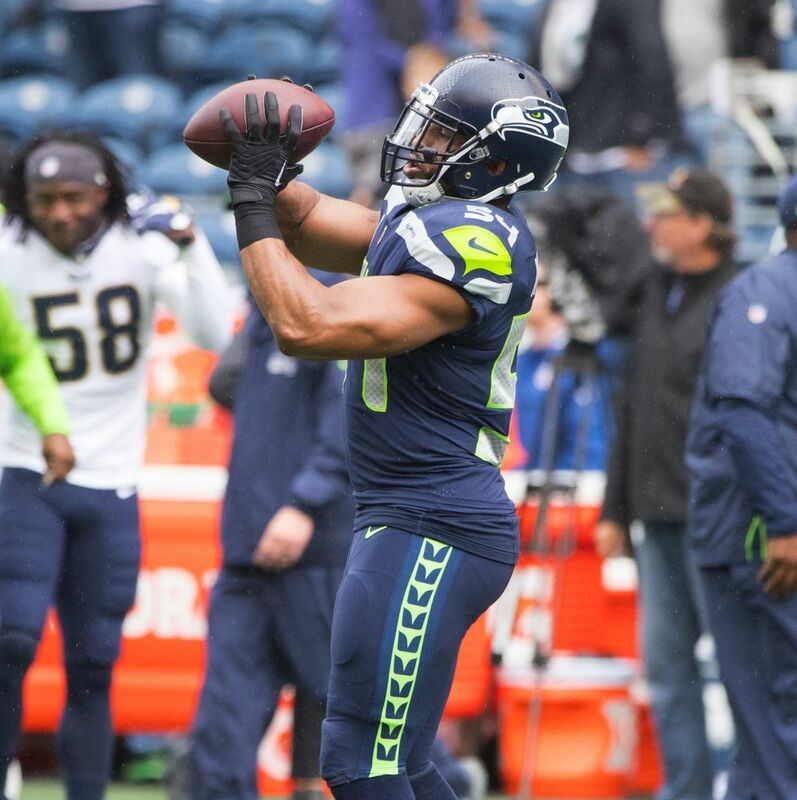 “We’re just trying to keep as much time on the clock as possible,’’ Carroll said. 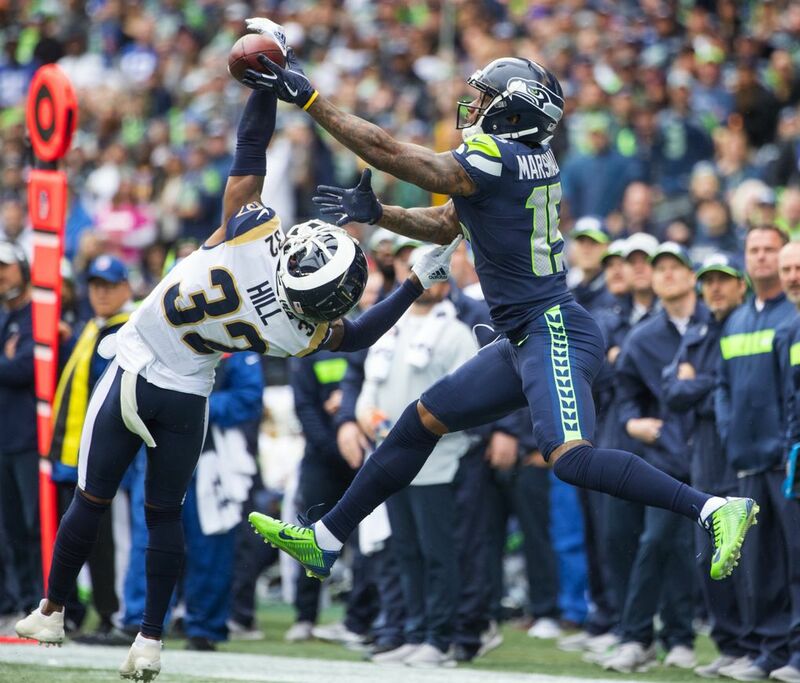 Had Carroll not called the timeout, the clock would have restarted following a measurement from the play before, and the Rams likely would not have snapped the ball until 1:06 or so was left. 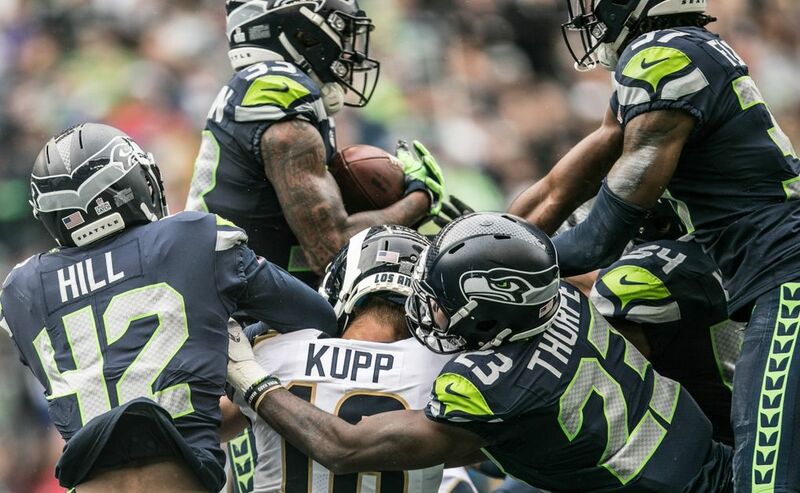 Had the Rams punted without a timeout being called, Seattle might have had a minute left and 80 to 90 yards or so to go for a touchdown, or 50 to 60 yards to go for a field goal. 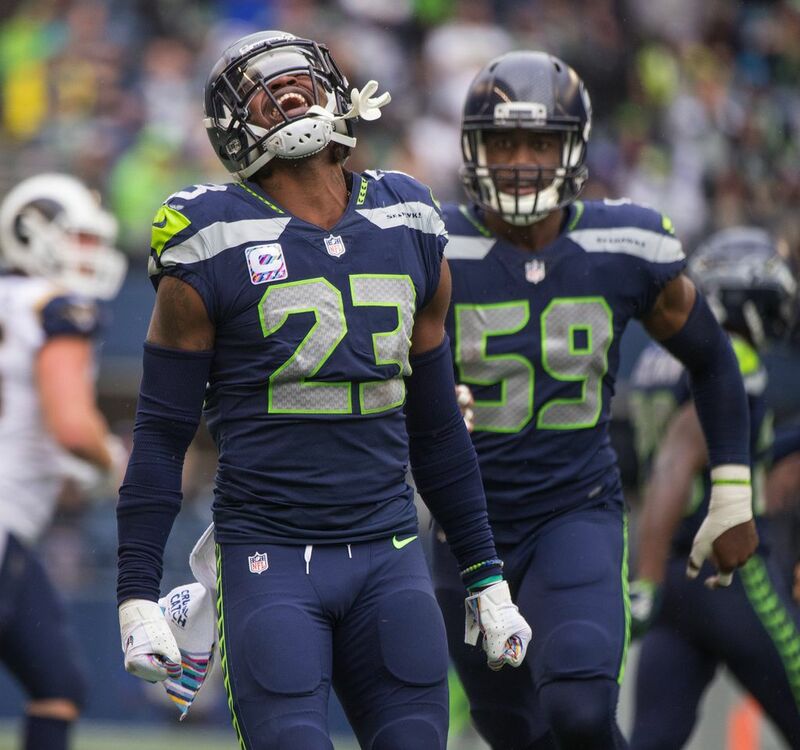 To Carroll, the bigger issue was what happened just before that, when the Seahawks drove to the Rams’ 32, and then three plays later had to punt on a fourth-and-23 at the Los Angeles 45. 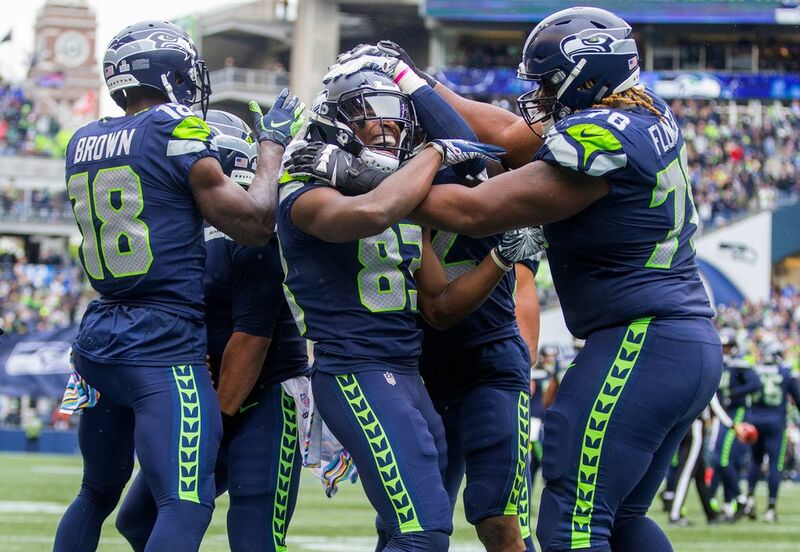 Seattle got to the 32 thanks to a 44-yard pass from Russell Wilson to Tyler Lockett, typifying a day when the Seahawks used a punishing running game and big plays through the air to go toe-for-toe with a Rams’ offense that entered the game on a pace to set an NFL record for yards in a season. 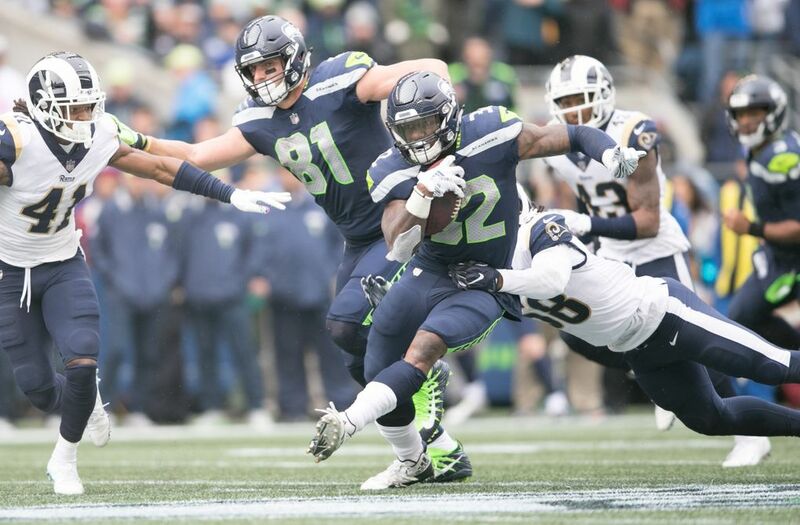 “Offensively, we played just about as precisely as we wanted to,’’ Carroll said of a day when Seattle rushed for a season-high 190 yards on 32 carries, while Wilson threw for three touchdowns with the Seahawks not losing a turnover. They played precisely the way they wanted to until the moment they needed it the most. 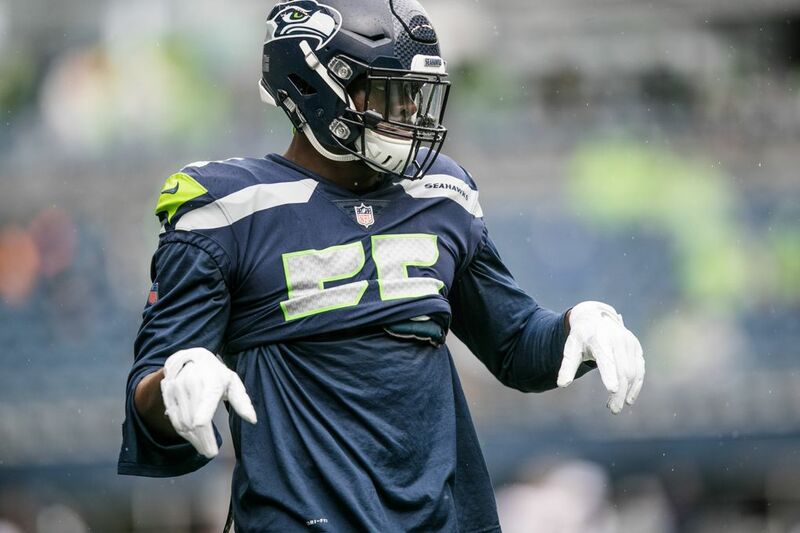 On first down on that late drive, Germain Ifedi was called for a false start (though it also appeared the Seahawks could have been called for a delay of game as the clock was at zero) creating a first-and-15. 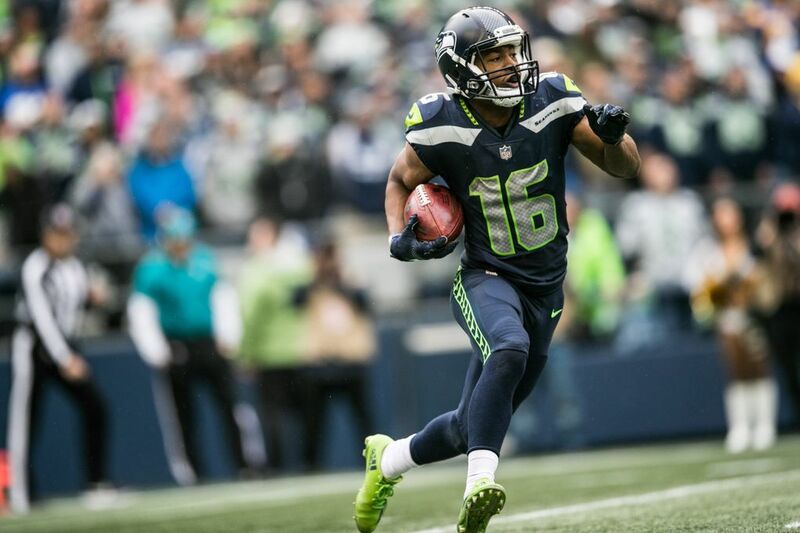 After a Mike Davis run for 2 yards, Davis then ran for 5 more to the 30. But the play was called back due to a holding penalty on guard D.J. Fluker, drawn by Rams’ defensive lineman Ndamukong Suh. Both Fluker and Carroll later protested the call vehemently, though replays seemed to show Fluker grabbing Suh by the shoulder. 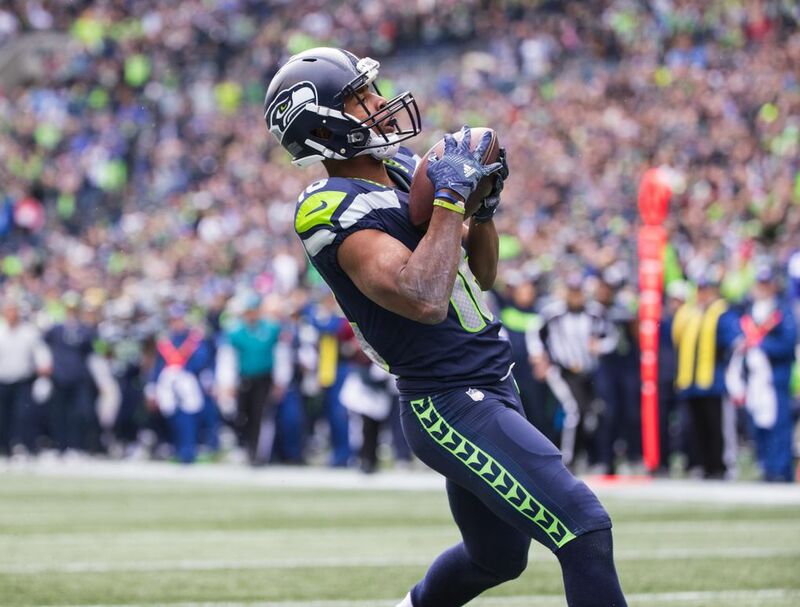 Seattle went nowhere on the next two plays — a Wilson pass on second down that was batted down by Cory Littleton (who played at Washington), and then an incompletion thrown by Wilson under heavy pressure, again from Littleton. 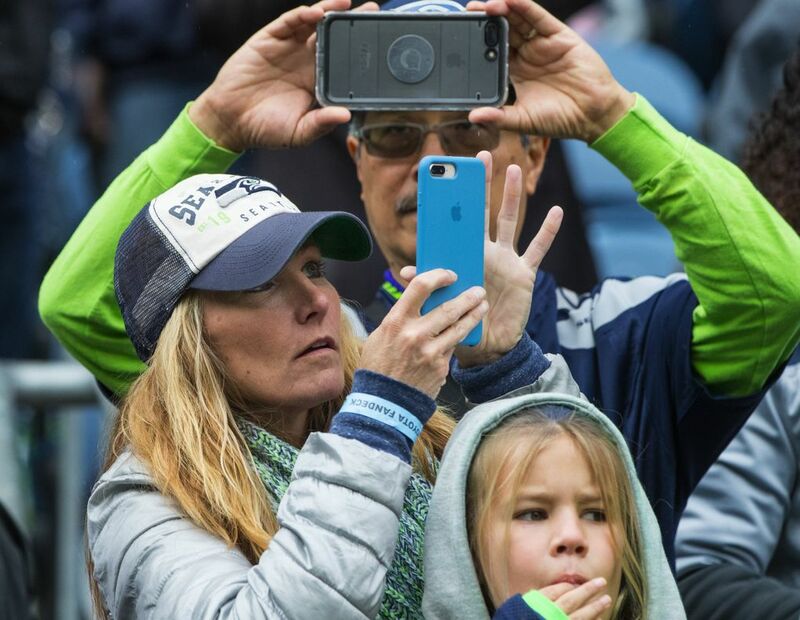 Maybe some watching wondered if the Seahawks might try a 63-yard field goal by Sebastian Janikowski, who once made one that long in the rarefied air of Denver. 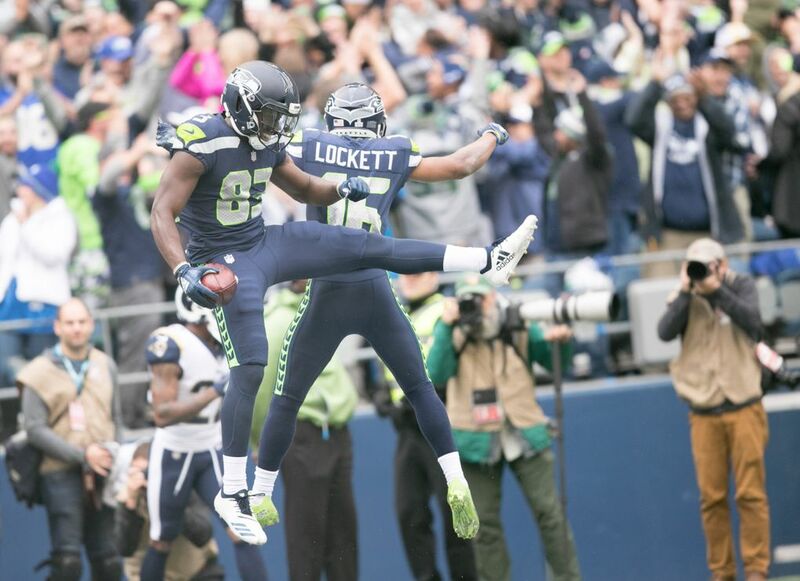 But Carroll didn’t, saying, “Not at that time, no’’ when asked if he considered it. 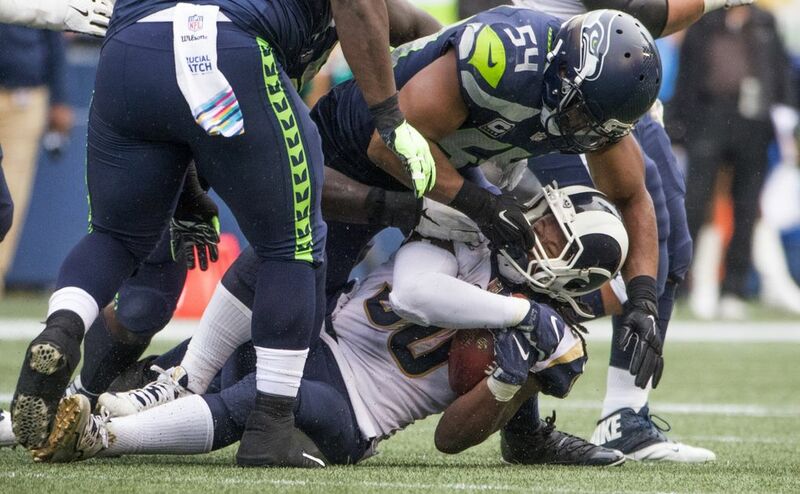 Instead, Carroll was hoping to pin the Rams back and try to get the ball one more time. 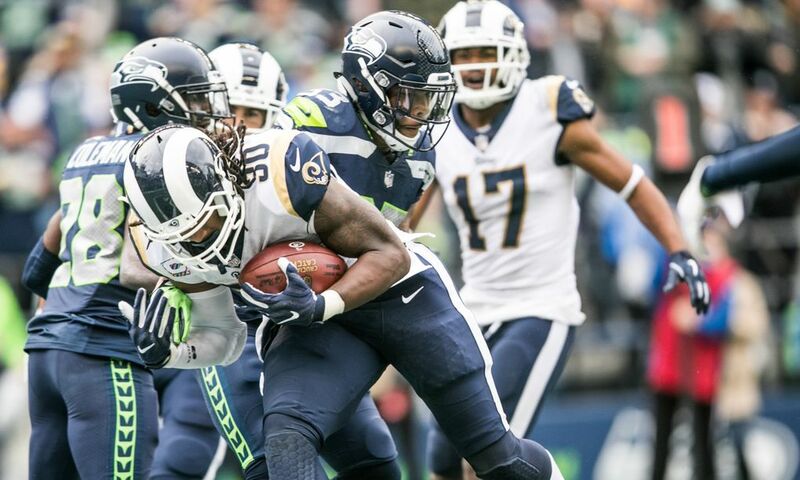 But Todd Gurley picked up a first down on the Rams’ first play to the Seattle 33 with 3:28 left, which then made the clock an issue. 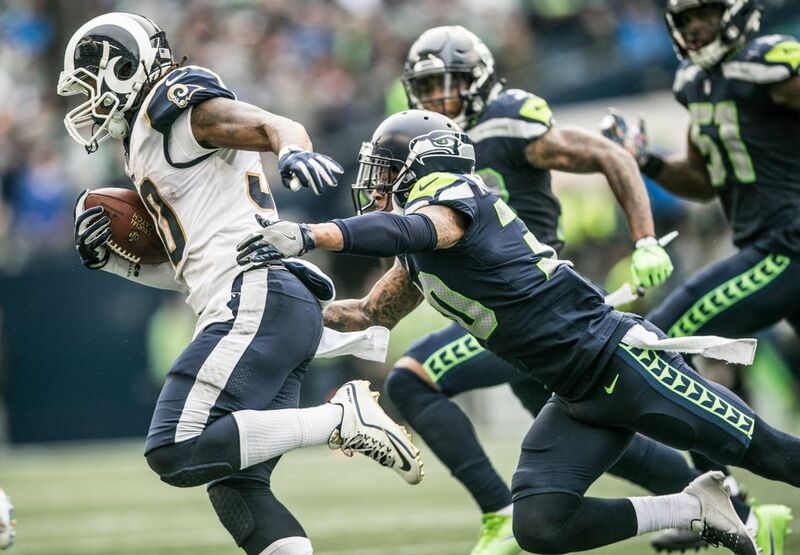 Gurley picked up 2 yards on the next play, and Carroll did not call time – Seattle had two left — letting the clock run from 2:42 to the two-minute warning (which some might also debate as possibly saving a few more seconds and maybe changing the dynamic of what happened next). 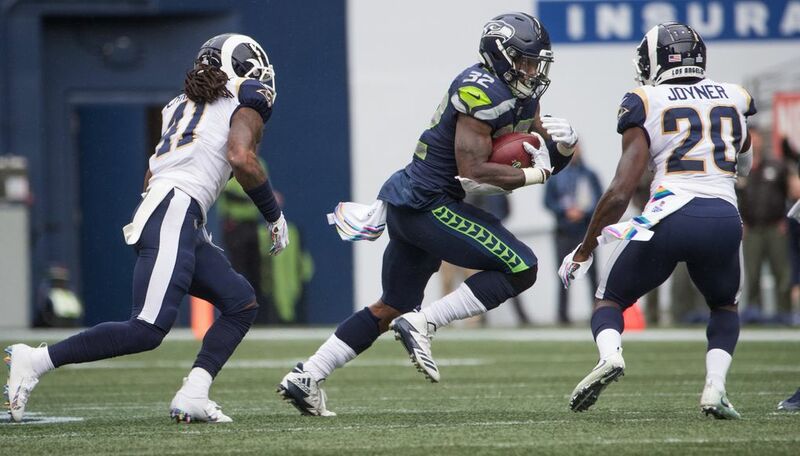 Gurley then picked up 7 yards to set up a third-and-one and Seattle used its second timeout to stop the clock with 1:52 left. 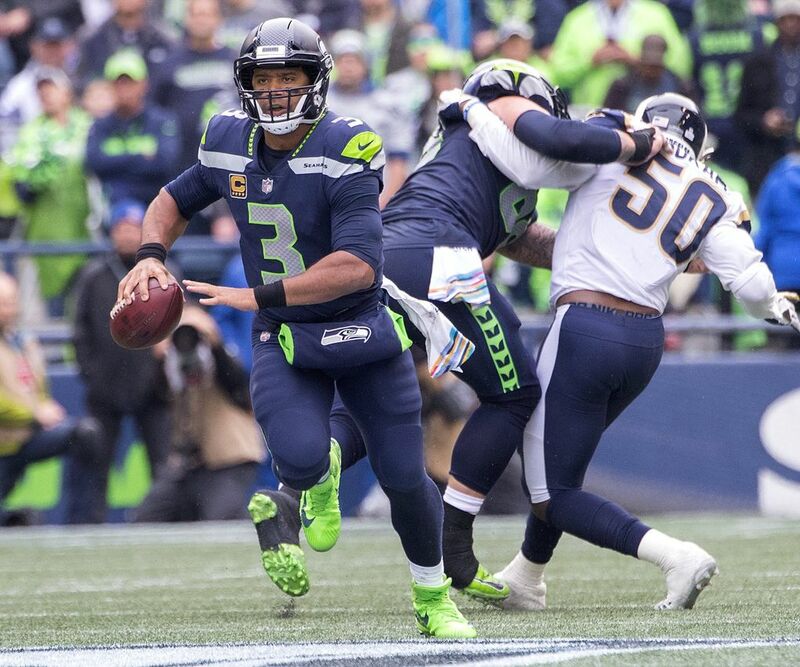 Gurley then was stopped for no gain, though in the moment, no one knew that for sure, with Carroll rushing off the sideline to call time out with 1:39 remaining as officials began the process of a measurement. 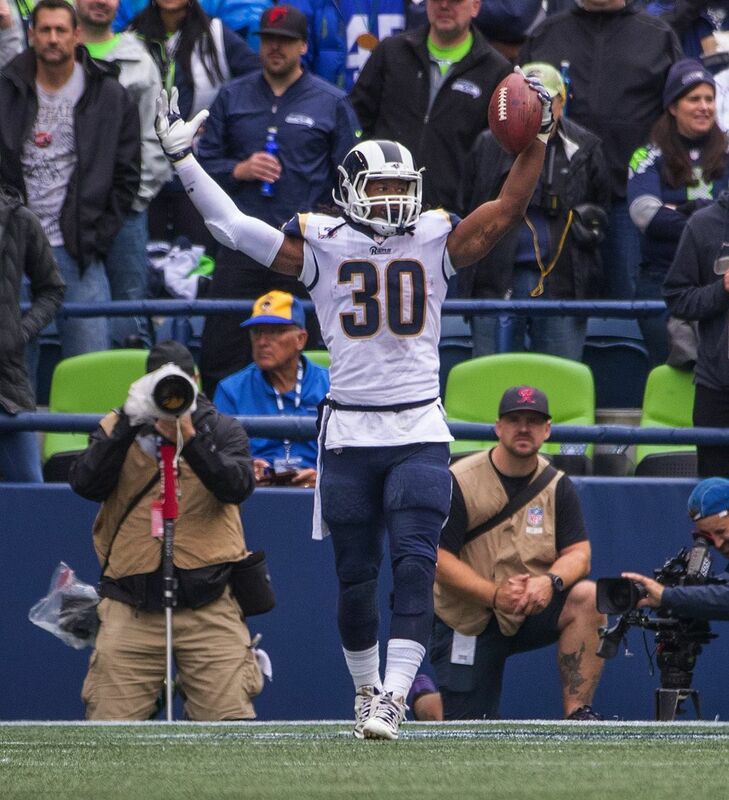 The clock would have stopped anyway for the measurement, which showed Gurley just short. 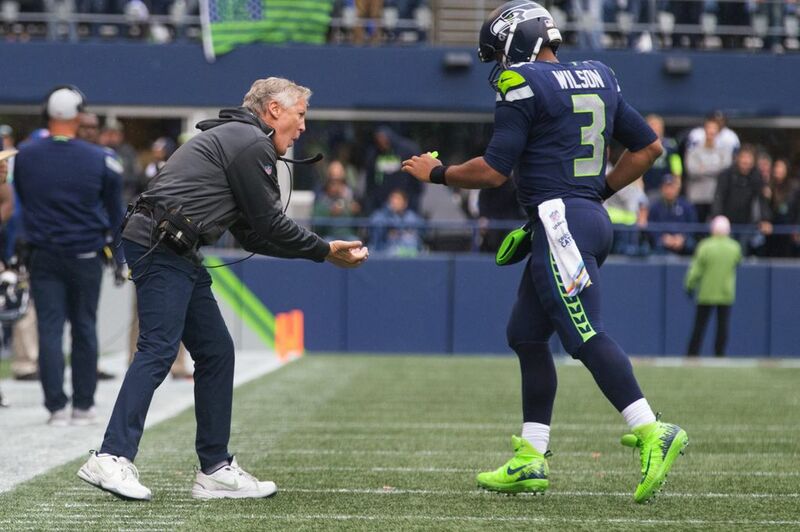 After the measurement, Carroll was asked if he still wanted the timeout. He said yes — had he not, the game clock would have started, as rules require it to do after a measurement. 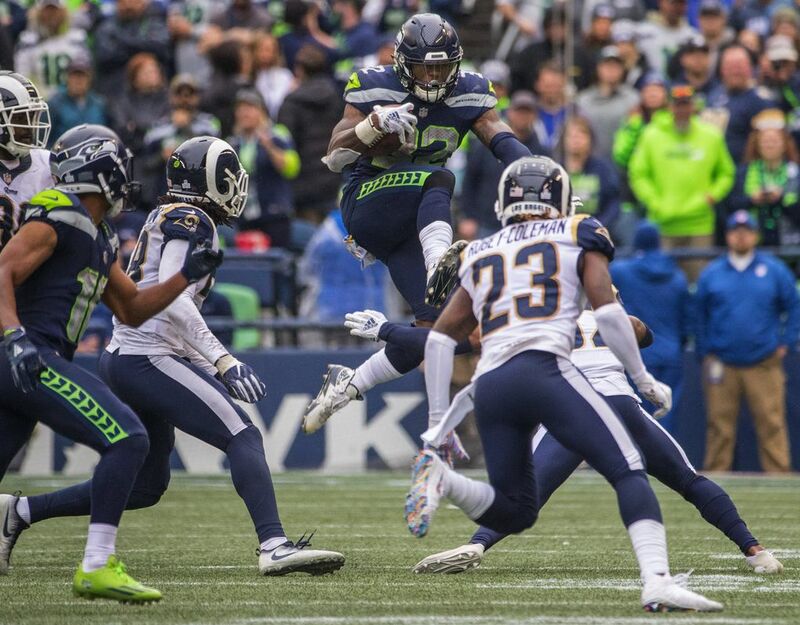 The Rams initially had their punt team on the field but during the timeout, they decided to go for it. 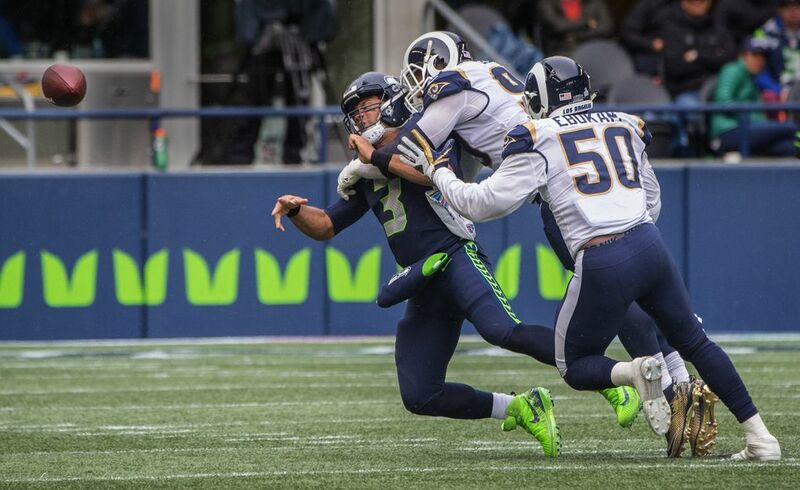 Carroll deflected the question of whether the timeout allowed the Rams to reconsider. 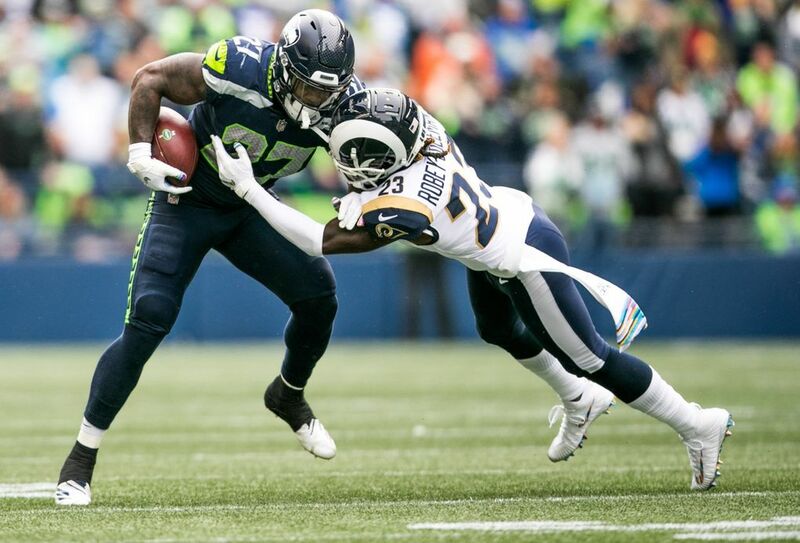 “He (Rams coach Sean McVay) can do whatever he wants,’’ Carroll said. 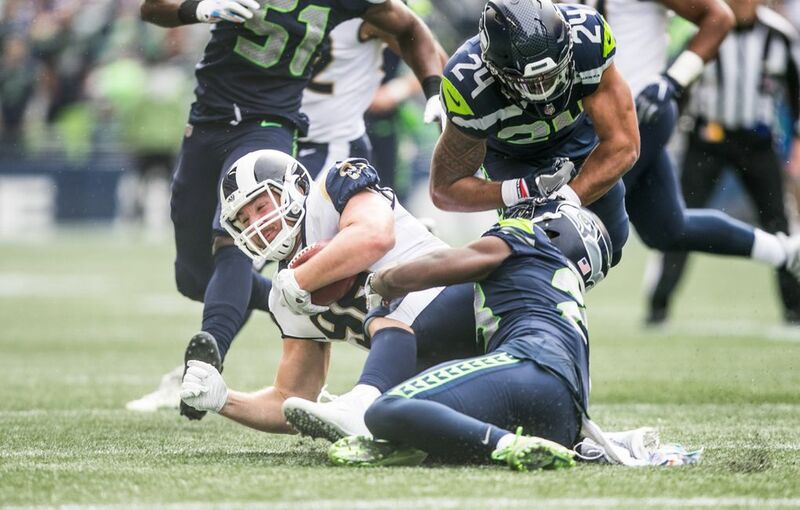 McVay admitted he changed his mind after hearing players talk about going for it, though whether he would have done that had there not been a timeout — the Rams could still have changed their personnel with the clock running, and undoubtedly would have let the clock run down before snapping the ball no matter what they decided — he left unclear. 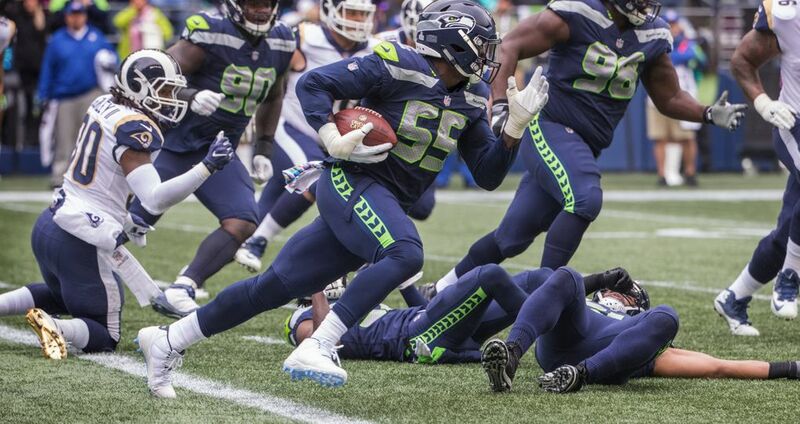 Seattle defensive end Frank Clark said he figured all along the Rams would go for it. 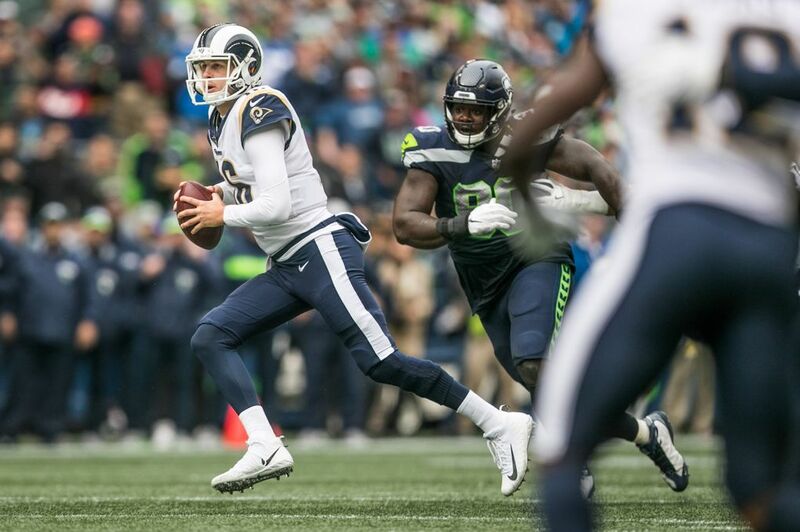 McVay said Goff “mixed up his cadence’’ on the last play to catch Seattle off guard and get a good push behind center John Sullivan for an easy 2 yards to seal a victory in a game that saw five lead changes and three ties. 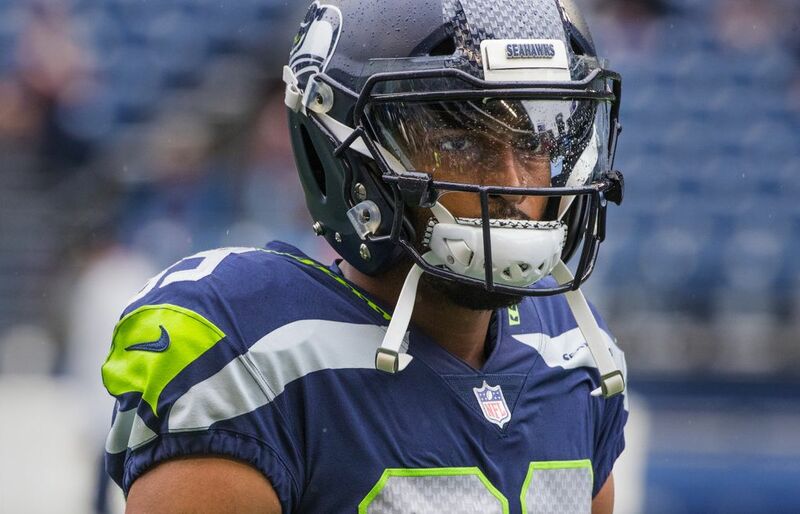 “I don’t know how many people thought it was going to be like that,’’ said Carroll. 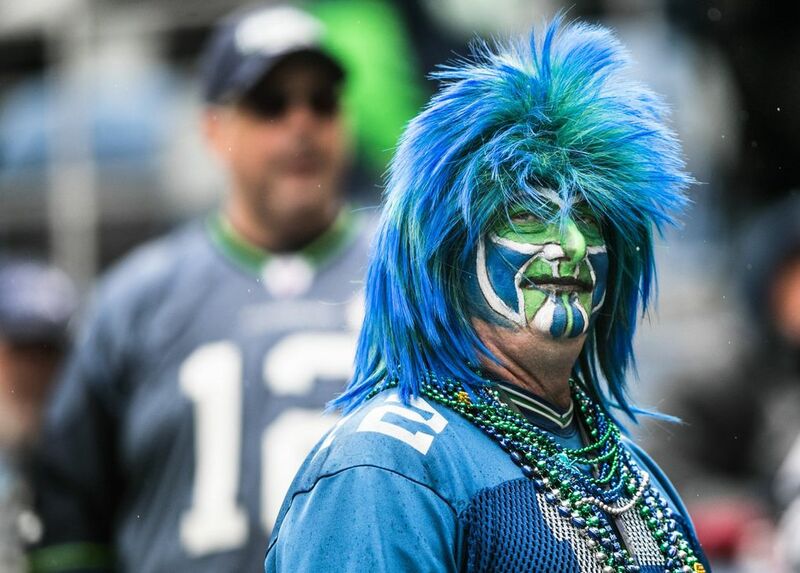 Indeed, the Seahawks were a 7.5-point underdog, the largest at home since 2010. 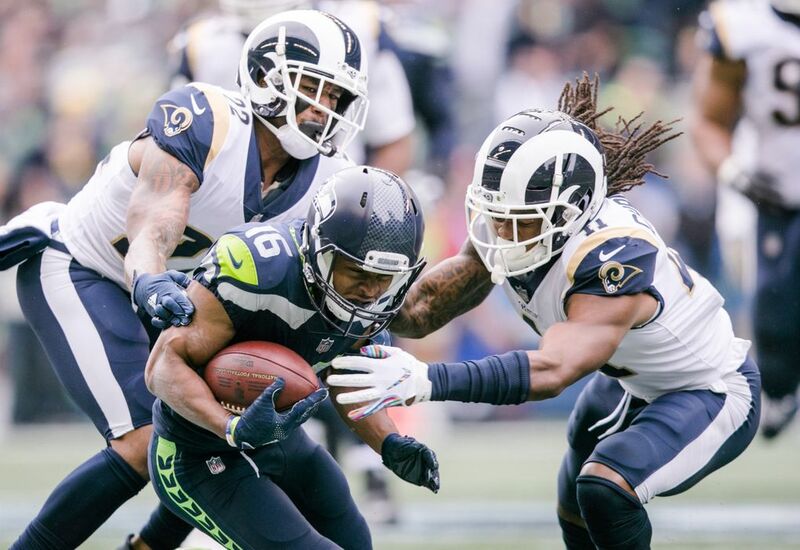 On several occasions, the Rams seemed on the verge of making it that kind of game, only for Seattle to make a big play of its own — such as Clark’s interception in the end zone on the Rams’ second series, one of three times Los Angeles got to the Seattle 30 or closer in the first half, but was held out of the end zone. 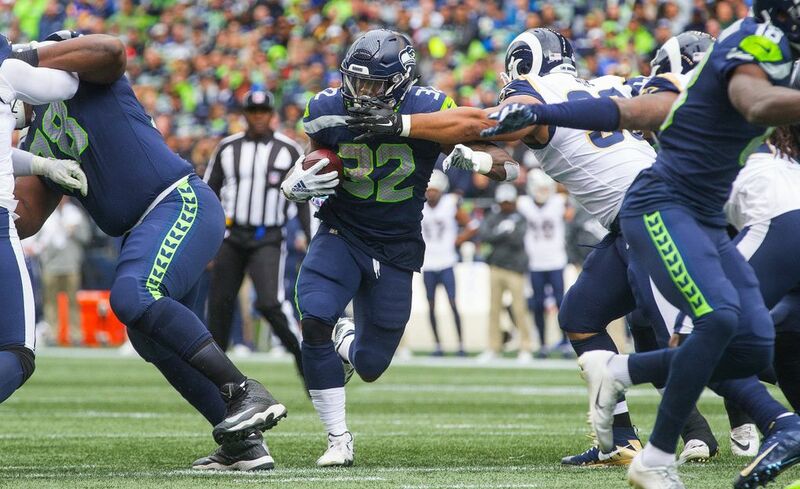 Still, close won’t matter in the standings, which now show the Rams at 5-0 and Seattle at 2-3 and all but out of it in the NFC West before the second week of October. 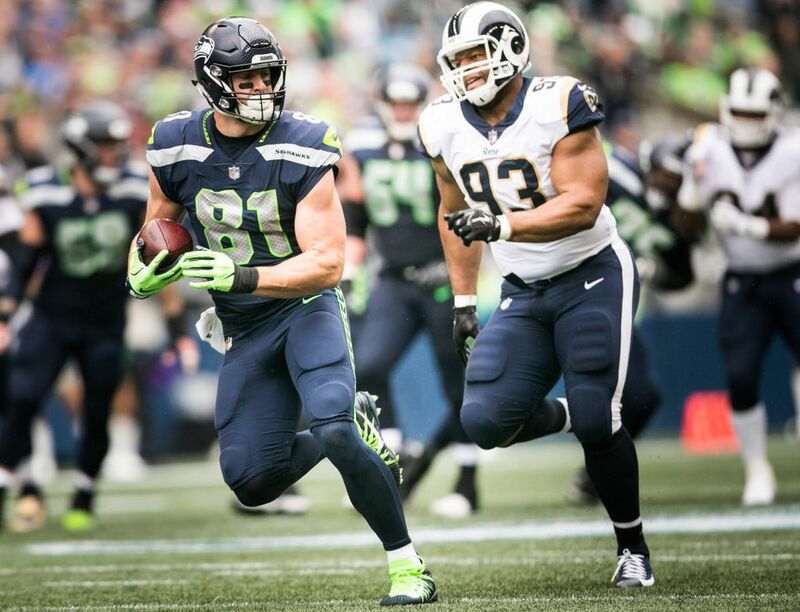 And it left Carroll coming back to what could have been. 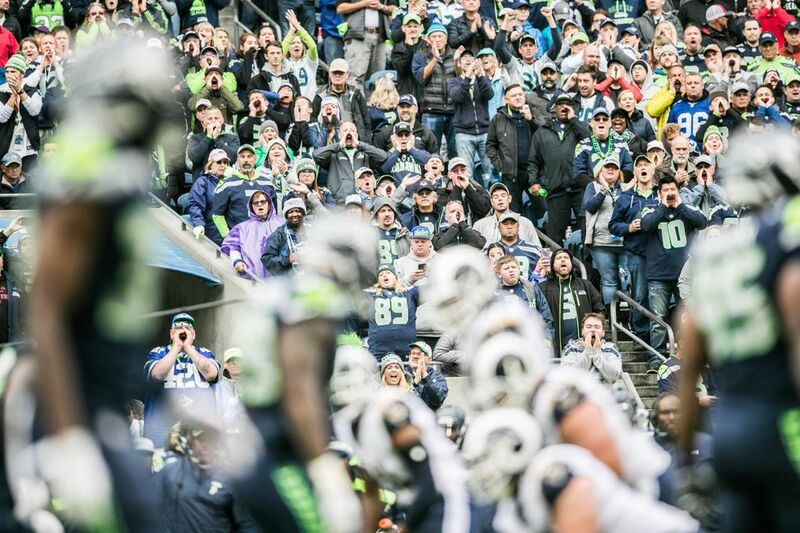 Seahawks coach Pete Carroll talks about the end of Sunday’s loss to the Rams.